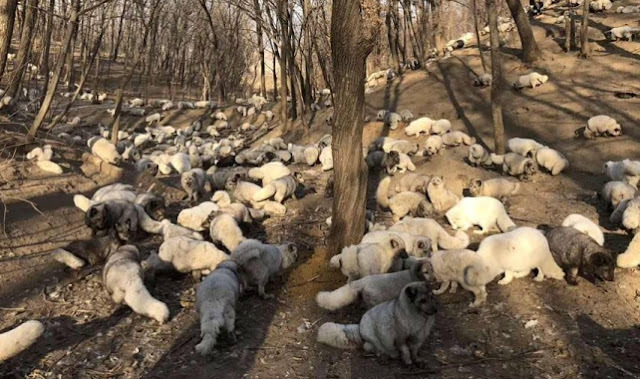 One hundred and seventy four foxes are feeling freedom for the first time after being rescued from a fur farm. 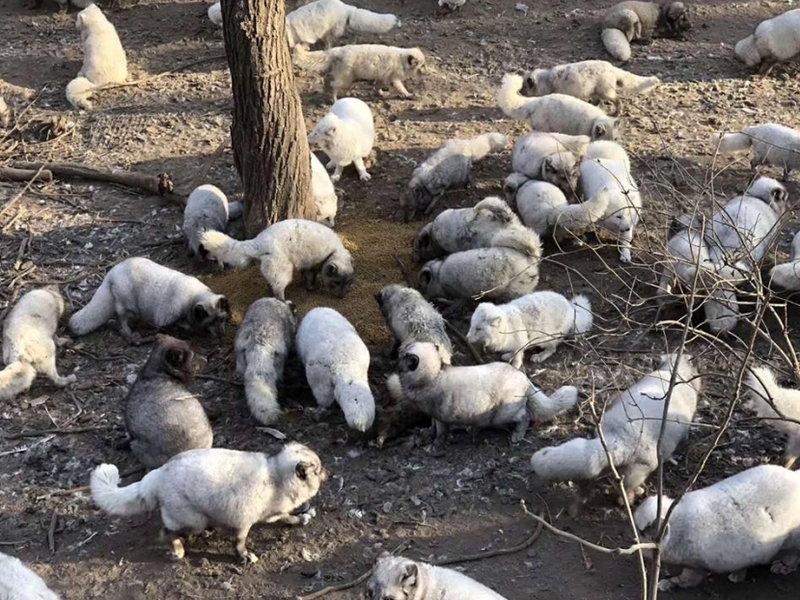 Videos of the white foxes being freed from the tiny cages they lived show the foxes being let out at a Buddhist nursery garden, the temporary shelter that will house them until a special enclosure can be built for them by their rescuers in China. 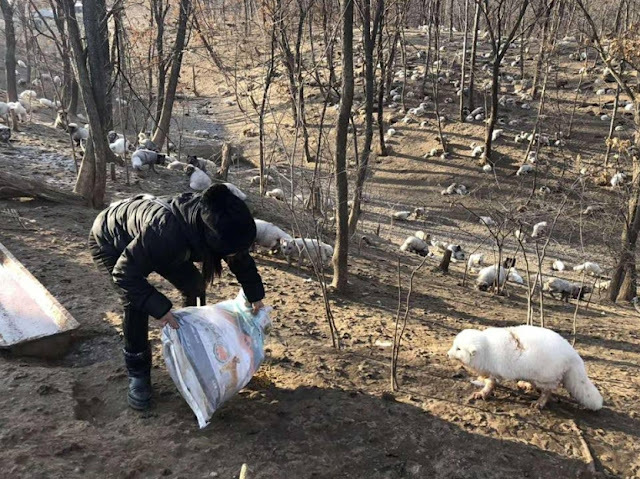 The foxes were rescued in China by animal activist Bohe, as identified by Karen Gifford, an animal rescuer who helps raise awareness and support Bohe in her efforts saving dogs from dog meat farms in the country. As the animals are not wild they cannot be set loose in the wild. Instead, the foxes will be given a sanctuary to live out the rest of their days. Gifford revealed the foxes were rescued after Bohe and her supporters learned that the fox farmers were closing their business because they weren’t making enough money. The 174 foxes were loaded onto trucks and transported to the Buddhist Jilin Nursing Garden in Mudanjiang, China. Once they arrived at the garden, they were set free. 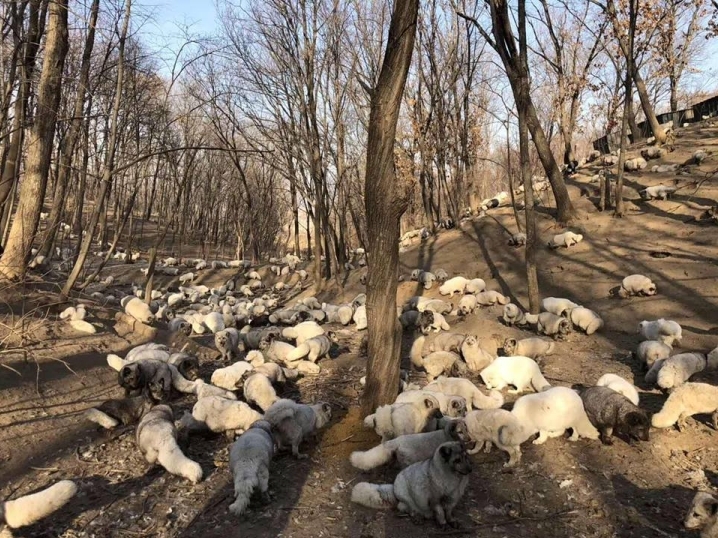 Responses to "174 foxes freed from tiny cages in China feel the ground for the first time"
Oh that's just absolutely FANTASTIC !!!! Poor babies! Am glad they are safe. That’s just awful. Oh my gosh,this makes me so happy,the black leopard is my fav wild animal and the fox comes in 2nd,such beautiful creatures.